Earlier this year I got a call from Bob Graham, former Governor and U.S. Senator for Florida, asking if I would write a chapter for his upcoming book "America, the Owner's Manual: You Can Fight City Hall -- and Win," a how-to-guide for citizens looking to make a difference in the political process. I agreed and chose to focus on Indiana Governor Mike Pence as an example of far-right overreach, costly political hubris, and the economic fallout of anti-LGBT bigotry. His embrace of anti-LGBT legislation cost the state's economy millions and took him from a potential Presidential contender to a Governor no longer assured re-election. The book will be out in August, but my chapter is being released early due to its timeliness. Pence is now the Republican Vice Presidential nominee and the NBA has pulled the All-Star Game out of NC because of the state's recently enacted anti-LGBT law. You can download the full chapter by clicking here. Pence had joined the field of prospects in Las Vegas to meet top GOP campaign financiers. But within three months, Governor Pence’s presidential hopes were dashed and his political future in jeopardy. The reversal of political fortunes began on March 26, when Pence signed Senate Bill 101, the so-called Religious Freedom Restoration Act, over the sustained objections of civil rights advocates and business leaders across his state. At least 30 law professors had warned that the Indiana bill was part of an antigay backlash and would permit businesses to turn away lesbian, gay, bisexual, and transgender (LGBT) customers. The Indiana Chamber of Commerce and other local employers spoke out against the new law, calling it bad for business. 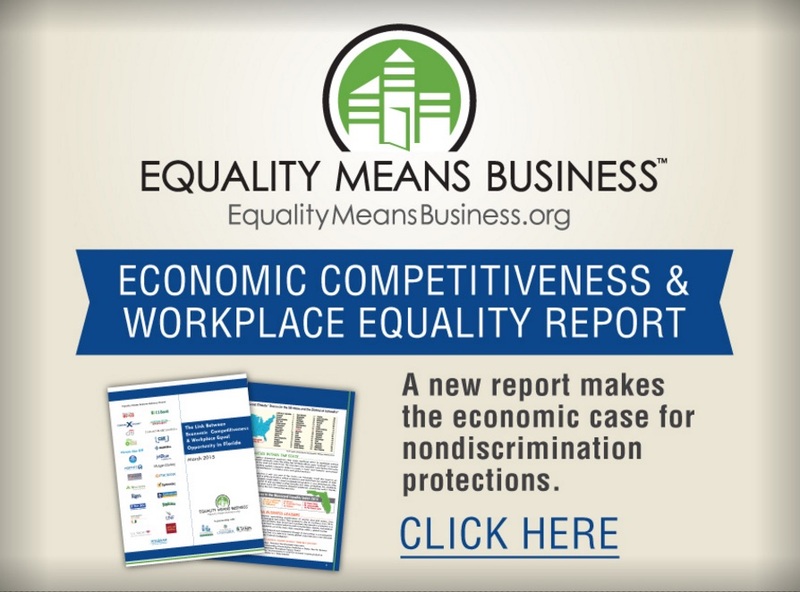 CEOs from nine major employers—Angie’s List, Salesforce Marketing Cloud, Anthem Inc., Eli Lilly and Company, Cummins, Emmis Communications, Roche Diagnostics, Indiana University Health, and Dow AgroSciences—called for an immediate repeal of the law and urged Republican leadership to ban discrimination based upon sexual orientation or gender identity. Tourism officials were panicked. At least 10 national conventions threatened to pull out of Indiana. Entertainers canceled tour dates, and nearly a dozen state governors and big-city mayors banned taxpayer-funded travel to events in Indiana by government employees. NASCAR publicly criticized the move, and the NCAA began discussing moving its headquarters away from Indianapolis. The chapter is called Equality Means Business, named for the educational project Equality Florida launched to spotlight and increase the visibility of pro-equality businesses and the best practices for creating inclusive workplaces. The project has been replicated in a number of states and has increased the engagement of business leaders who are speaking out for LGBT equality. Last year, we produced a report that shows the significant economic impact of failing to include basic protections at the state level even for states that aren't dealing with the fallout of passing anti-LGBT legislation. Click here to download it. "America, the Owner's Manual: You Can Fight City Hall -- and Win," by Senator Bob Graham and Chris Hand, is a how-to-guide for citizens looking to make a difference in the political process. It will give readers new confidence to flex their citizenship muscles and make governments work for them.